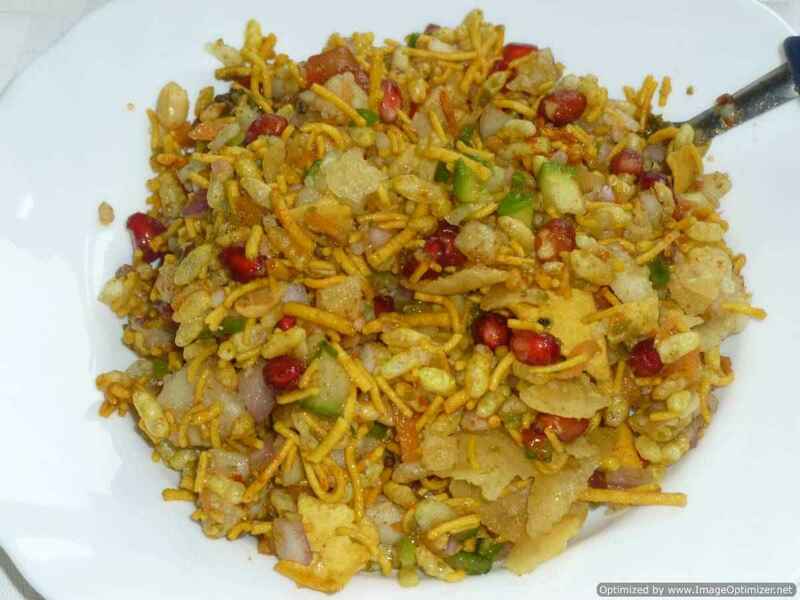 Dahi sev puri chaat one more very popular chaat, snack, street food popular all over India as dahi puri chaat and is loved by all from kids to elders, mostly enjoyed in the evening as a snack with friends and families. Dahi sev puri chaat and dahi puri chaat are both same the only difference is sev, which is added more and covered fully on the yoghurt. 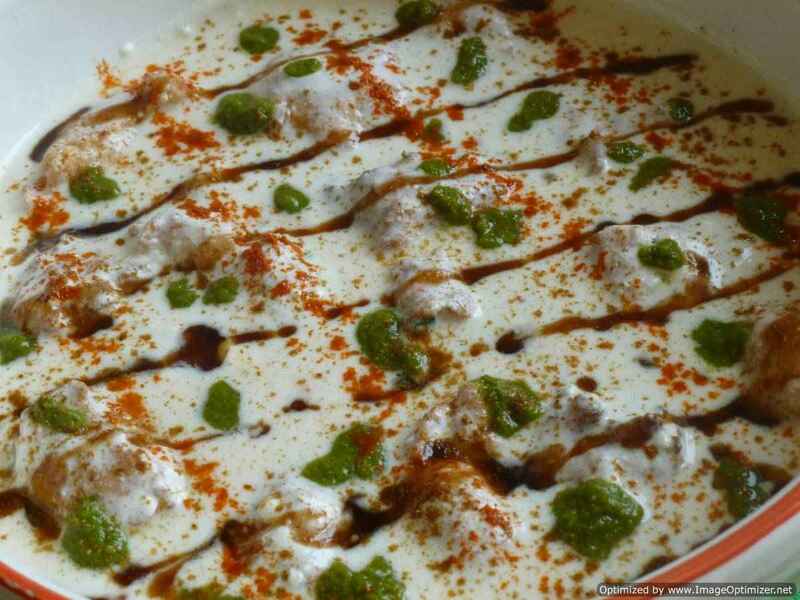 In Mumbai, dahi puri chaat is known as dahi sev batata puri chaat, batata mean potatao and aloo in Hindi. 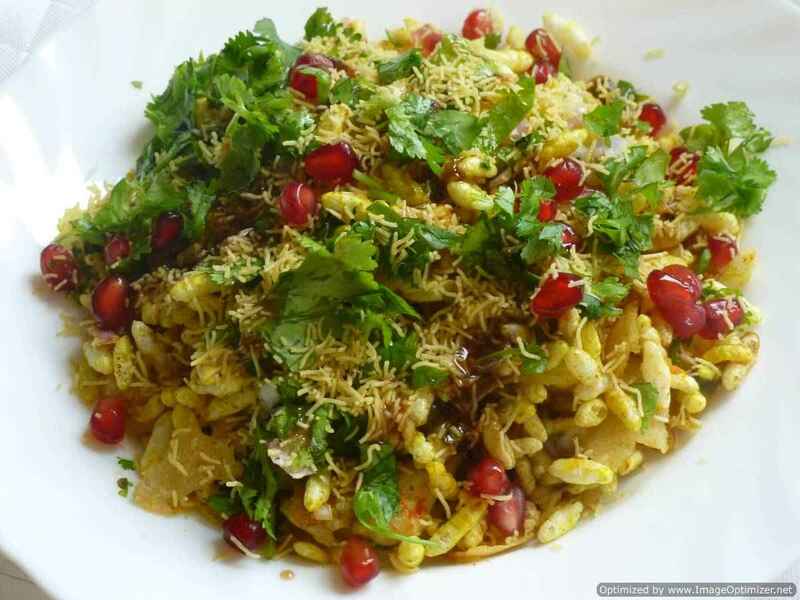 Dahi sev puri chaat made from Crispy puris , stuffed with potato, chutneys, covered with yoghurt, topped with spices and sev and other ingredients, which gives us different flavour and taste. 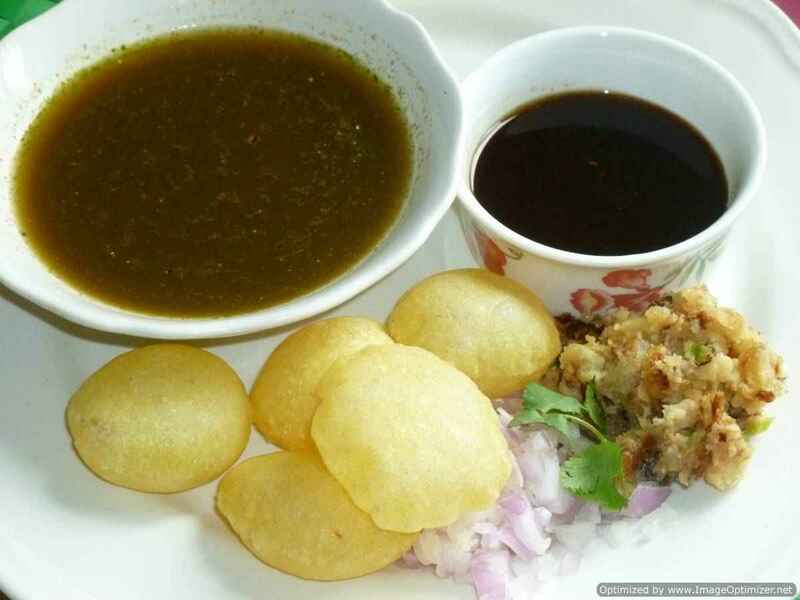 Puris are the same which we use for pani puri (golgappa) , which is in round shapes and crispy, which gives you nice crunch while eating. 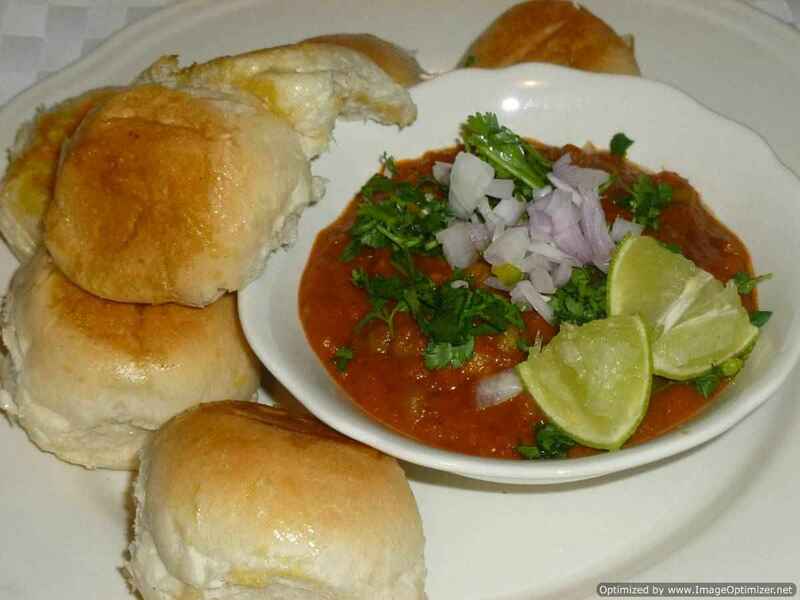 Chutneys play important role in chaat, without these you cannot have delicious chaat, the chutneys I have used is green chutney known as hari chutney in hindi and meethi chutney made from tamarind, jaggery and dates, sometimes I prepare with tamarind and sugar, you can use any sweet chutney as both taste delicious. You can store in the fridge or freeze it and use it whenever you prepare chaat. Other ingredients include some spices, pomegranate, onion, tomato, coriander leaves and boiled chana (chick pea)(optional). Preparing dahi sev puri chaat is very easy if all the above ingredients are prepared in advance and are ready like green chutney, tamarind and dates chutney, boiled potato, sev (fried gram from gram flour) and shop bought crispy puris, then your job becomes easy, just assemble and serve or let your family or friends, assemble as per their taste .The most scrumptious and awesome part is when we eat this delicious and mouth-watering chaat and feel the crunchy bite of puris and sev to softness of the yoghurt and from tangy and sweetness from the chutneys and spiciness from the spices. To compliment the name, garnish with some more sev again. 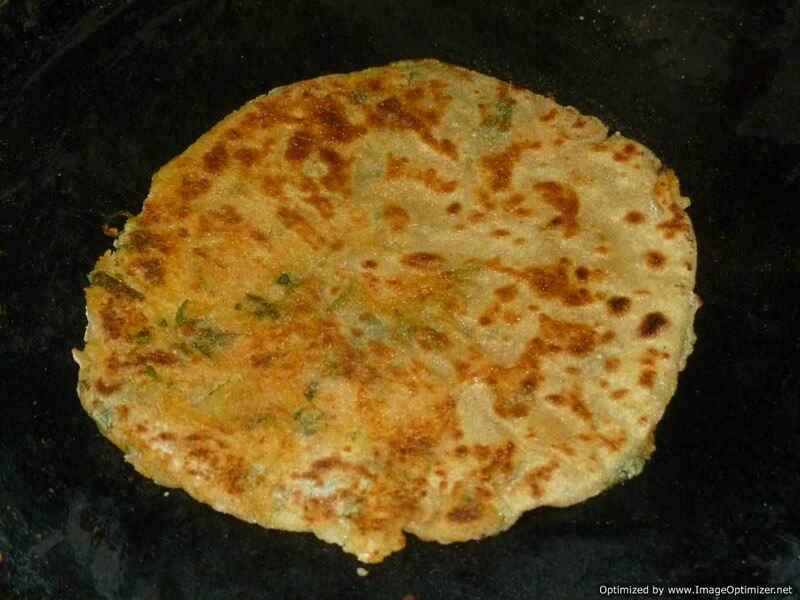 Serve immediately, otherwise the puris become soggy. 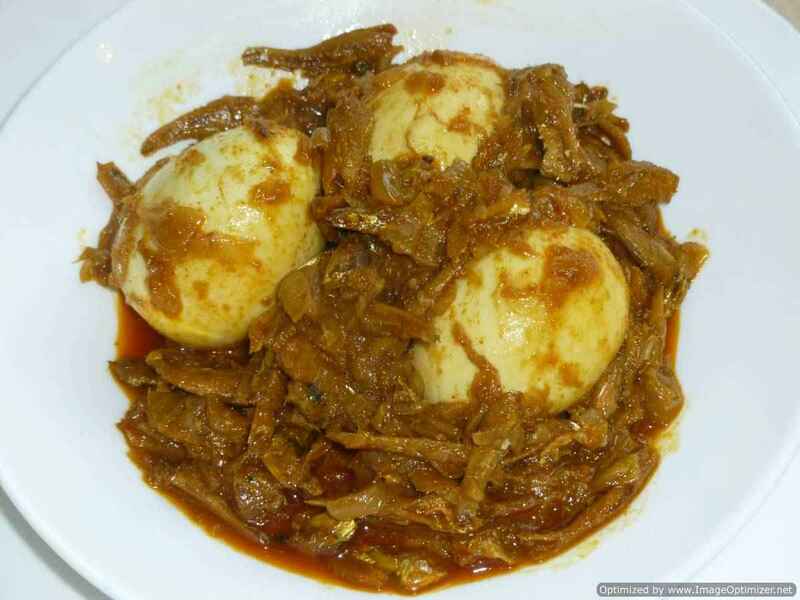 In the pictures below I have tried to show the treasure inside the puris.